The iPad will land in the UK in three weeks' time. 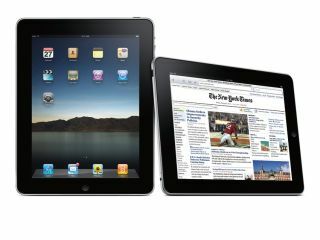 Apple has announced that its iPad will finally be available in the UK - and eight other countries - from 28 May. The pricing structure for the various models has also been nailed down. The Wi-Fi iPads will be available for £429 (16GB), £499 (32GB) and £599 (64GB). The Wi-Fi/3G versions, meanwhile, will retail for £529 (16GB), £599 (32GB) and £699 (64GB). Pre-ordering starts on Monday (10 May). The other countries to be getting the iPad on the same day are Australia, Canada, France, Germany, Italy, Japan, Spain and Switzerland.